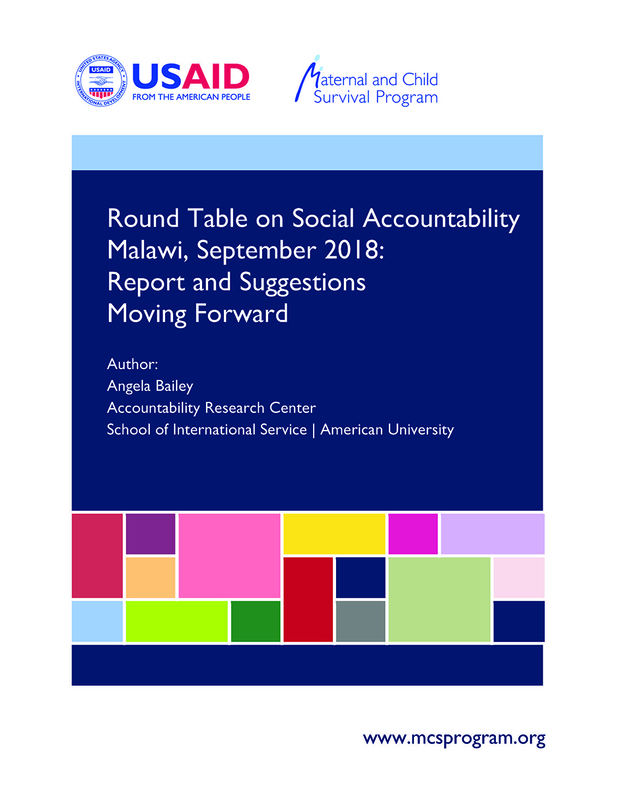 Since 2015, MCSP has worked closely with Malawi partners to advance social accountability documentation and research . UNICEF, with funding from the Gates Foundation, implemented the project ‘Social Accountability for Every Woman Every Child’ (SAcc EWEC) in Malawi from 2016 – 2018. The project worked to facilitate community and civil society organization platforms to carry out constructive engagement for social accountability at different levels of the system. This was done through evidence generation, dialogue and debate for responsiveness and quality delivery of reproductive, maternal, newborn, child and adolescent health services based on duty bearers’ responsibilities. On September 6, 2018, UNICEF and USAID co-convened a round table meeting in Lilongwe, Malawi, to bring together 52 stakeholders from civil society, government, academia and funding agencies to discuss the work done under the SAcc EWEC project and the broader learning context for social accountability in Malawi.